Let me present you my guide of MT tactics and methods. It was popular enough on the Russian forum, so I hope you’ll find something interesting for you here. Some Russian game terms have no analogs in US community, so I’ve translated them “as is” and marked with [rus]. I also would like to thank Keptin for his vehicle renders. As English isn’t my native, I apologize for mistakes and ask you to help with correcting (including commas!). Let’s start with a simple counter-TD trick. If you have got close to a tank destroyer, just press yourself to him tracks-to-tracks. Thereby you can shoot him, he can’t shoot you. If you managed to lean against all his tracks (hard), he won’t be able to move at all. But even blocking his tracks by a corner of your ones lets you use your maneuverability to not let him escape. You can switch on autoaim – it doesn’t miss on a such little distance, so you can focus on maneuvering. Same trick can be done against some lofty tanks. For example, leaning on T-44 to Maus, you are out of his fire range. The most dangerous part – approaching under fire. Neither Maus nor object 704 can destroy T-44 by one shot. But an experienced TD can start to move back and get time for an additional shot. Mauses usually don’t expect this tactic and stand still. Carouseling [rus] is riding around enemy slow-turreted tank to prevent him from aiming, his gun just can’t be in time chasing the aim. The most of HT have such a fast turret that you have no chance to carousel them up. Therefore when the enemy gun chases upon you without lag, and you feel his reloading is going to be finished, just stop dramatically and move in the opposite direction. Usually braking is unexpected for the enemy, so he resumes to turn the turret in the same direction for a second, then an additional second to turn it backward, then aiming… So this maneuver allows you to get few additional seconds, which sometimes are an additional shot. If you’re fighting one-on-one with an equal or weaker medium tank, don’t try to carousel him. Firstly, it doesn’t work with medium tanks, secondly, you should place your front armor under enemy fire. If enemy’s trying to carousel you, it’s good – you give him your front armour, he opens you his flank. If you have to fight against 2 opponents it’s good to move yourself shielding by one from another. A shortcoming is that you have to open your flank to one of them. Consider the situation and decide what is better: to open your flank to one or to get shells in the front from both. Place your front armour with an angle to an enemy. It increases your front armour’s thickness. Don’t overdo with the angle – after defined value your flank armour becomes thinner than the front one (but still partially shielded by your tracks). Each tank has his own ideal angle. All the red arrows are the same length. We call this attitude “to stand by a rhomb” [rus]. It’s not always necessary to turn an enemy heavy’s side or rear to penetrate him. All tanks have a thinner lower glacis plate. In fact, T-34-85 can penetrate IS-7’s front armour shooting this common weak point. A banal thing, often forgotten by some people. If you skirmish with an enemy using a common cover (rock, corner of a building) by scheme “drive out – shoot – drive back” (“peek-a-boo” [rus]), so if your opponent has just shot he is reloading and he is going to reload for the next few seconds. During this time you can safely drive out, aim, make a shot and cover again. As bigger his caliber as longer his reloading. It sounds very obviously, but I often see people who don’t understand such a simple thing. There is a bunch of boxes on every base. Don’t take them for decoration, they were added by developers to simplify capturing. Use them as a cover while standing in the enemy base circle. On the contrary, destroy these boxes on your base when a battle begins. The best cover that can be found in an enemy’s base circle is another tank’s corpse. Besides usual shells wrecks can also absorbs enemy arty’s ones. Sometimes, if my teammate died just next to the enemy circle, I prefer to push his corpse up to the flag and use as a cover. 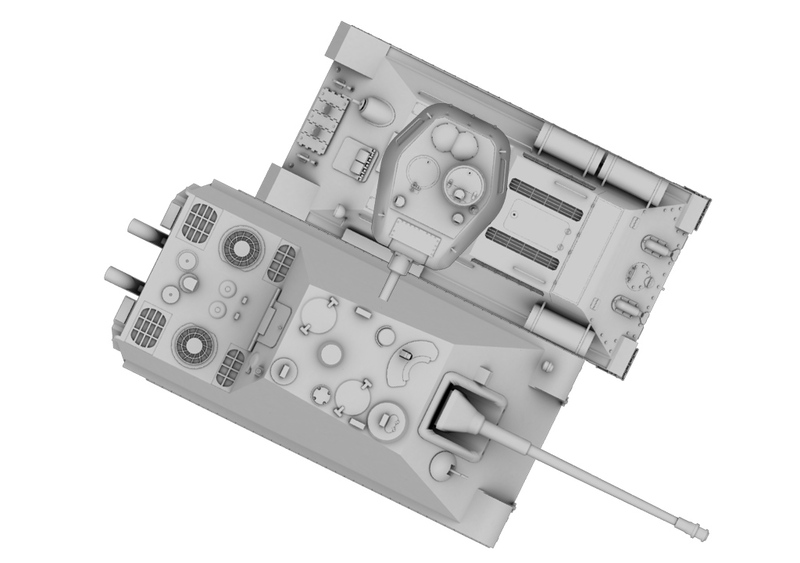 It allows you to feel as though you’re a T95 – both in speed and in armour. It’s also can be a good idea to stand behind your teammate before his tank has turned into a corpse. Or, on the contrary, cover him by your hull if he’s started capturing first. The first variant may sound selfish, but sometimes it’s the only chance to win a battle, especially is you’ve already provided over 50% of capturing. During the prebattle 30 seconds you can make a plan of your actions. But you should watch on your teammates and be ready to change it from the first seconds. If you decided to attack through the right flank and ALL your team decided to do the same, it’s 70% probability none of them will turn to defend another flank and the center, they will follow their great plan. Don’t be like they, drive there, where you’re needed. Always read what are your teammates writing, particularly arty – they are the first who notice breaches in your defense, it’s on their interest. You also can write about an opened flank, but you have to do it very persuasively. Once in Himmelsdorf I wrote “A hill is defending by me only and I’m stock” (stock [rus] – with basic modules). The result was over my expectations – a half of the team rushed to hill, ever leaving another important directions. As result, we lost the battle, but the hill was ours. Medium tanks often run ahead and get involved into fight before heavies. MT like to put a brick on the foot-throttle and not to think about what’s behind. It’s incorrect. Make yourself to stop from time to time to wait the lagged behind heavies, or drive with medium speed (R+R+F) until skirmish begins. Meeting enemy by all group is much better then loss of MT at first ant HT at second. Of course, it isn’t about maps where MT have to get some positions as soon as possible. This situation should be avoided, because 2 tanks together are equal to 3 scattered ones. By alone you can only scout. But in random battles everything happens. So, if you had to defend the whole direction by yourself or with one teammate only, your task isn’t to destroy superior enemy forces, it is to detain them for as long as possible. Mathematic is simple – If your team has disadvantage on your flank, it has an advantage on another flank. So time’s working on you – delay the enemy by all means. In this case it’s a good idea to stand behind the cover and to impose the enemy on peek-a-boo. But you don’t drive out, only enemy do. It will drag the skirmish out. If you’re alone against 2 or ever 3 enemies it’s quite possible they won’t have courage to drive out all together and kill you – one of them has to drive out by first and get your shot, and none of them wants. So uncooperated players often hide being two against one. Situation 2 vs 4 is even harder – the first driven out gets 2 shots at once. Absence of cooperation is that what allows 2 tanks to defend a direction from 4 enemies. You probably know that you shouldn’t be close to an enemy tank to not prevent your artillery from shooting him, but sometimes the opposite behavior is also useful. If you surely can kill the enemy by yourself but are afraid of enemy SPGs, stand close to your opponent, so enemy arty won’t shoot at you. Pay attention to the screen beneath with T-54 standing close to Maus. Except of being out of Maus’es fire range, the cockroach [rus] has an additional profit having Maus as a hostage against enemy arty. To know how to maneuver you have to learn to play on a SPG. A good MT is also a skilled artilleryman. 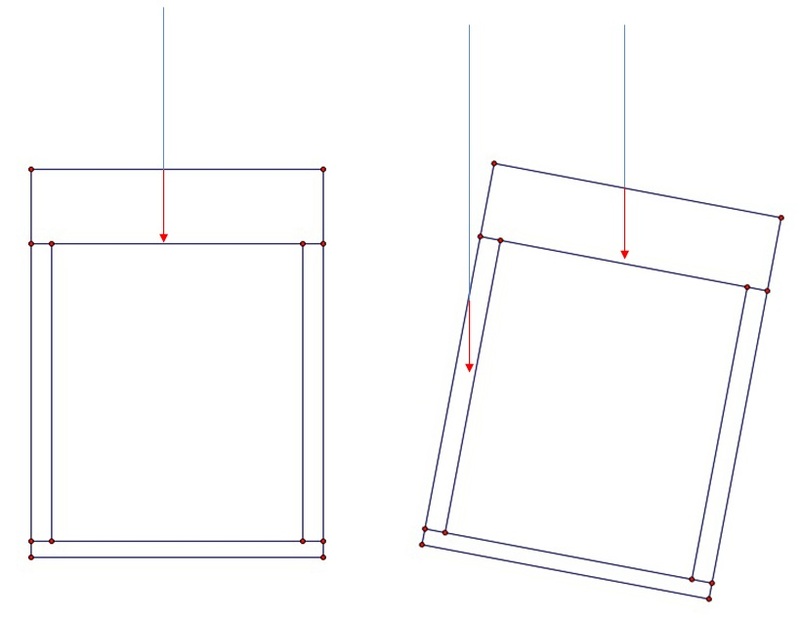 – Penetration of your shell reduces with distance. Reducing begins from 100 m and is nearly 20% at 500 m. So you may to not be able penetrate a far away tank which you used to penetrate in a close combat. It’s time to think about HE. – Damage external modules, particularly gun (aim it’s base). Damaging the enemy IS-7’s gun is much more useful than just taking few % of him. You also have a little chance to injure crew members. 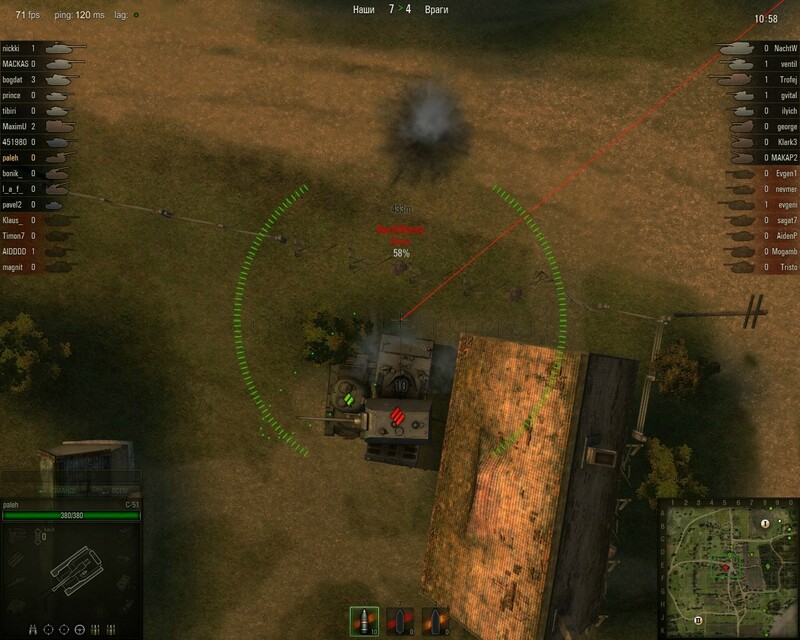 – If your base is about to be captured and you are near, use HE to avoid risk of ricochet and not-penetration. Fast and correct decisions when to load HE is one of higher skills of MT. 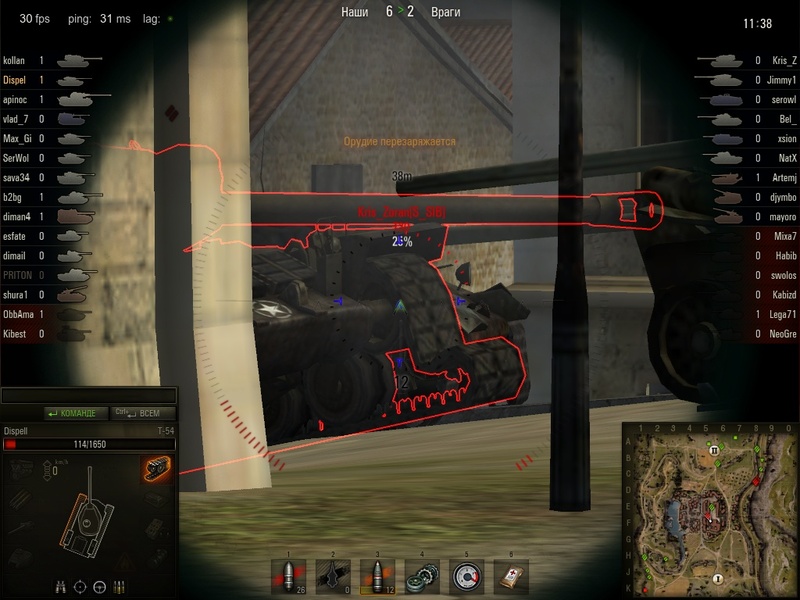 In situations when you see just a piece of an enemy tracks, while the most of this tank is behind a cover, you should shoot in his tracks by HE. You deal damage and destroy his tracks, so he can’t drive back and cover whole himself. If his tracks repair is longer than your reloading, you can hold him on-site while killing him bit by bit with HE. An inventor of this tactic has killed at least 2 tier 10 tanks on T-54 without any losses (his screen with an example is beneath). Another important factor – time of writing. If you write 5 seconds before battle begins – your teammates already have their plans, write 30 seconds before – MT haven’t loaded yet. I prefer to write 15 seconds before, supposing my allies are still thinking about their tactics and ready to respond to an interesting offer. And one more thing. Praise your arty when it deserves.